1. An African-American male of high moral character. 2. Have a high school GPA of 2.75 or better on a 4.0 scale (demonstrated via transcript). 3. Demonstrate active involvement in CPSSKapsi Kappa League Program in addition to school and community activities (e.g., sports, clubs, student government, honor society, volunteer work, etc.). 4. Submit three (3) letters of recommendation, one of which must be from a school administrator or faculty member. 5. Show acceptance to an accredited four-year institution of higher learning for the next school year. Youth partnerships within the DMV community are necessary for the advancement and ultimate survival of organizations such as local community centers and recreational facilities. It is important to develop strong community partnerships that directly align with the mission and vision of the College Park Sandy Spring (MD) Chapter of Kappa Alpha Psi Fraternity Guide Right Program. This is especially true when it comes to our youth. It is the College Park Sandy Spring Alumni Chapter's (www.cpsskapsi.org) duty to invest in our youth; in the future they will lead our local and global economies and make decisions that will affect future generations. 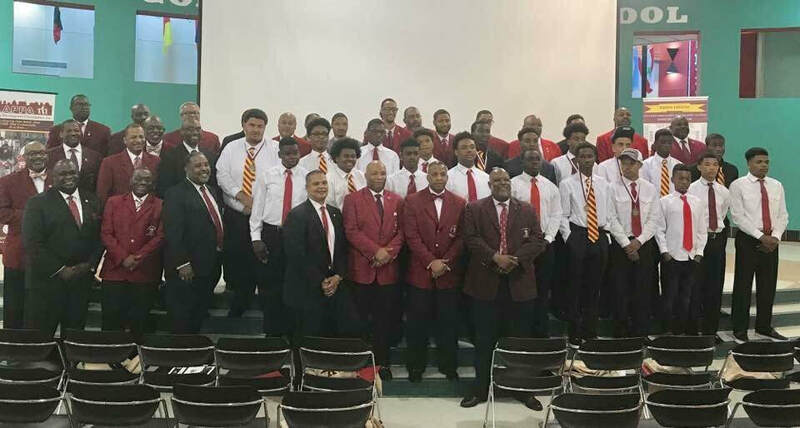 The College Park-Sandy Spring (MD) Alumni Guide Right Kappa League Program will continue to reach out to community leaders in an effort to create community-based partnerships. We will devote 100 percent of our time and effort to creating formidable partnerships with programs that enhance our visibility and viability, thereby creating a “win-win” situation for all involved. As the College Park Sandy Spring (MD) Alumni chapter transitions into our 2016-2017 Kappa League Program we reiterate our commitment to Guide Right. Our Goal is to support, improve and reach higher with our Guide Right Kappa League Program. Our focus is on youth, teaching them to achieve, lead and guiding them to success. Our College Park Sandy Spring (MD) Alumni chapter is dedicated to implementing the National Guide Right Commission (4) Guide Right Core Initiatives. These initiatives are a priority of our 33rd Grand Polemarch Thomas L. Battles, Jr.
College Park Sandy Spring (MD) Guide Right Kappa League is a National Guide Right Commission certified Program.